We pride ourselves on our sales and service support, offering you repairs and maintenance to the highest standards. We also offer emergency callouts so that you have the peace of mind that if the worst should happen, we are here for you. 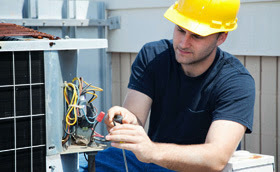 All of our maintenance and repair services are carried out by trained and experienced staff so we can get your air conditioning system up and running again in no time!